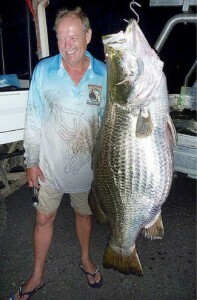 You won’t see too many barramundi bigger than the one here. it was caught in Queensland’s Lake Monduran by Denis Harrold. 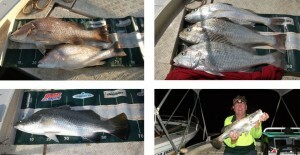 It weighed 44.6kg and measured 135cm. Stocked barramundi tend to grow larger than wild fish, but don’t have quite the same appeal as wild fish, especially on the plate. Proposed Northern Territory fishing regulations have been released by AFANT … have a look here and have your say! 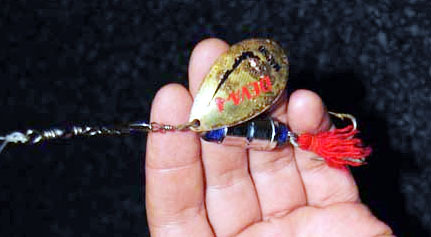 The Third Best Barra Lure Ever Made, says FFF’s Mud. He broke into his toolbox and used a socket to construct a heavy-duty blade spinner … read about it here. 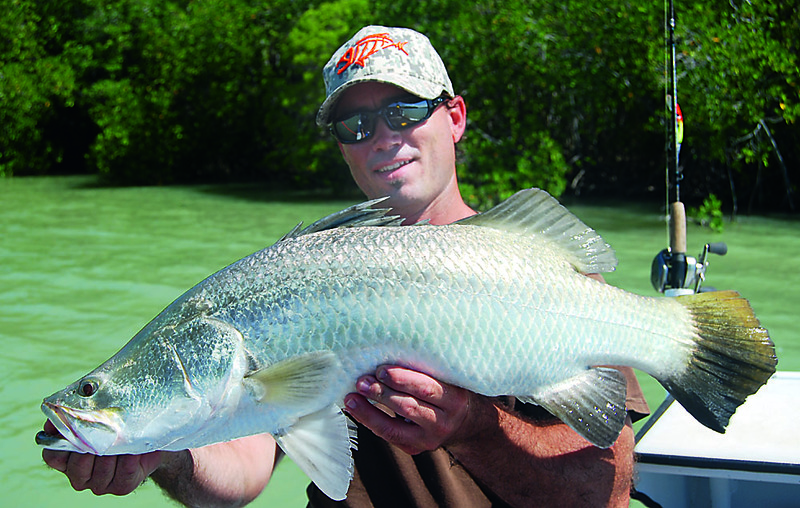 Grumpy hits the mouth of the South Alligator River and cleans up … read the details here. 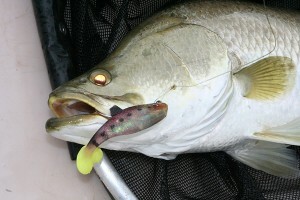 The Northern Territory has new bag limits for the Mary and Daly Rivers. Read the details here.